Here is a list of diagnostic centers in Mumbai where facility of Lipid profile tests is available. 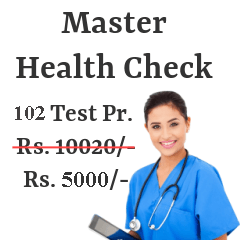 Other details like price of the test and the location of these along with contact number has also been provided. 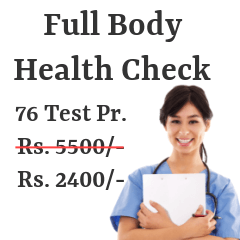 Select a diagnostic center in Mumbai city for undergoing lipid panel as per your budget and which is closest to your place of residence. Following are the Lipid Profile Test centers from most reputed pathology / radiology labs in Mumbai. A lipid profile test is helpful to the doctor for analyzing the proportion of cholesterol and triglycerides in your body. It also gives you an idea about fat percentage in your body and the foods to exclude from your everyday diet in order to get rid of it. This test is also useful in forecasting risks of you getting disorders because of obesity. Test results can also detect hereditary diseases that you cannot avoid and if in future you have any chances of suffering from cardiac hazards. Lipid profile tests are carried out with help of basic blood tests. Blood sample for is taken through a vein in your arm or using a lancet to draw blood from your finger. You may be advised to abstain from eating or drinking anything besides water before the test. A lipid profile test provides results in categories like- total cholesterol, high density lipoprotein (HDL), low density lipoprotein (LDL) and Triglycerides. Lipid profile is designed for checking cholesterol levels in one's body. Cholesterol is also a prime reason why people suffer from long-term cardiac illnesses, atherosclerosis and even heart attacks due to plaque build up in cardiac organs. Regulating cholesterol levels then becomes a must for leading a healthy life. Diet and exercise then are key factors that play a crucial role in maintaining body weight and optimum cholesterol levels. Medical experts suggest that adults even if fit need to undergo screening for lipid profile once in every 4-6 years. A result of less than 70-30 mg/dL of LDL is considered to be optimal. Whereas a score more than 40-60 mg/dl of HDL cholesterol is ideal. Incorporating a healthy fat free diet and a regular fitness regimen ensure that your lipid levels are always in the optimum category. The above mentioned information gives you a brief idea about lipid profile test and about various available diagnostic centers across Mumbai. 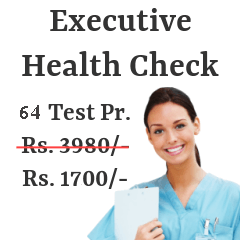 Undergoing this diagnostic test on regular intervals not only protects you from diseases but also makes you take preventive measures in order to maintain a healthy body.